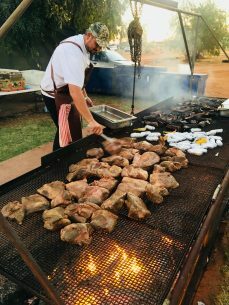 Chef Stuart Laws cooked up a feast at Mt Augustus at Gascoyne Food’s Biggest BBQ event on a one of a kind, custom made BBQ. 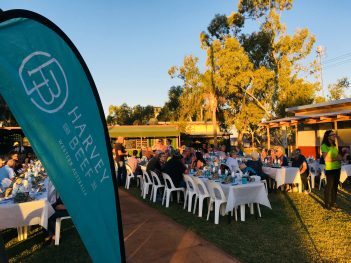 The barbecue is 6m long by 1.5m wide by 2.5m high, with the hot plate raised and lowered with a block and tackle, and it’s purpose built for this event. 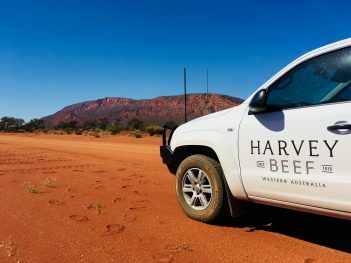 Mount Augustus (Burringurrah), is twice the size of Uluru and is located 480km north-east of Carnarvon and it made the perfect back drop for this unique event. 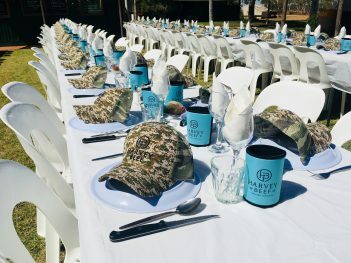 Guests enjoyed a gourmet barbecue menu from Perth Chef Stuart Laws, who cooked more than 200kg of Harvey Beef including beef brisket with green pawpaw and sweetcorn salad and beef ribs with Cuban tomato salad and stuffed sweet potato.